GHS (Globally Harmonized System) Training – The Hazard Communication Standard (HCS) is now aligned with the Globally Harmonized System of Classification and Labeling of Chemicals (GHS). 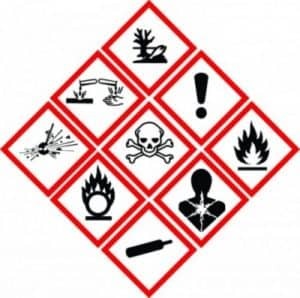 This update to the Hazard Communication Standard (HCS) will provide a common and coherent approach to classifying chemicals and communicating hazard information on labels and safety data sheets. This update will also help reduce trade barriers and result in productivity improvements for American businesses that regularly handle, store, and use hazardous chemicals while providing cost savings for American businesses that periodically update safety data sheets and labels for chemicals covered under the hazard communication standard. Information and training: Employers are required to train workers by December 1, 2013, on the new labels elements and safety data sheets format to facilitate recognition and understanding.